The Volk’s Railway – See more about the Volk’s Railway at the bottom of this feature. The I360The Jubilee LibraryDesigned by architects Bennetts Architects, designers of London’s Hampstead Theatre and Brighton based Lomax Cassidy and Edwards The Jubilee library, opened in 2005. 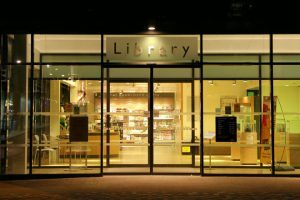 The library has won over 10 awards including the Prime Minister’s Better Public Buildings Award and was shortlisted for the Stirlng Prize. 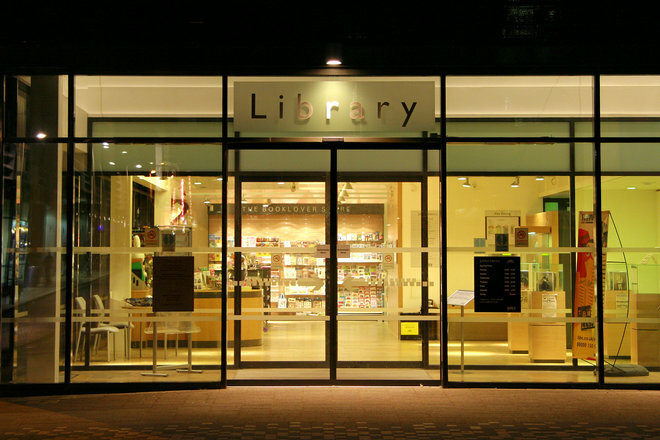 At the time of building it was thought to be one of the most energy-efficient buildings in Britain.Jubilee library is the centrepiece of Jubilee Square – Brighton’s ‘Newest and most exciting outdoor venue’..’in the heart of the city’s cultural quarter. Brian Cobby was the 3rd voice of the clock and could be heard for 22 years between 1985 and 2007. Cobby was replaced by the 4th ‘voice’ Sarah Mendes da Costa. Sarah was selected from hopefuls who took part in a competition raising funds for Children in need to find a new voice. She was announced as the winner during the Children in need BBC telethon in November 2006 having been voted for by, amongst others Brian Cobby, Terry Wogan. 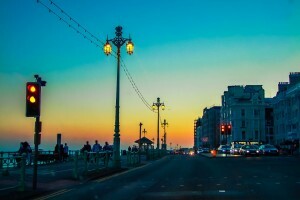 Brighton, Birthplace of the Film industry. 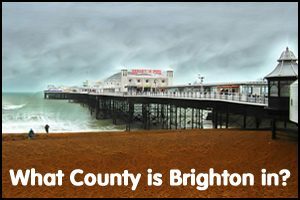 Our friends at www.BrambleHub.co.uk replied to one of our tweets saying that they thought we had missed ‘Birthplace of the film industry’ out as a thing that Brighton is famous for. So we did a bit of digging and have to agree. 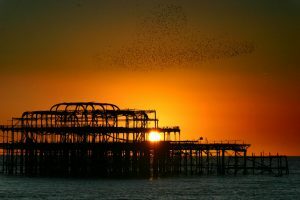 There is a great website http://www.brightonfilm.com/brighton_chronology.htm that we suggest you visit if you are interested in ‘the dawn of cinema’ in Brighton. 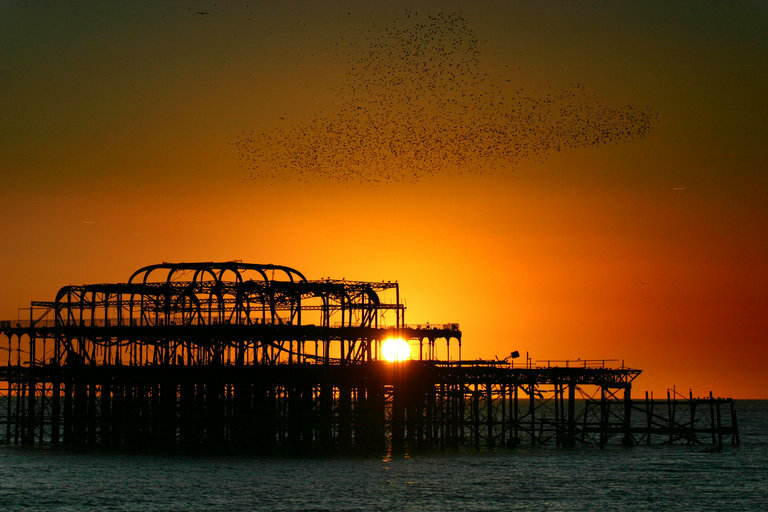 There is a run down of the film history of Brighton from 1886 to 2013. Starting with a 1886 entry declaring that James A Williamson, who runs a chemist’s/photographic business moves into 144 Church Road. There is a blue plaque on the outside of the building that you can still see today. More recently. In May 1965 a Mobile Cinerama theatre tent known as the Itineram opens on Hove lawns for 2 weeks. The 1965 equivalent of Brighton’s Big Screen perhaps? 1973 the Academy Cinema at 59 West Street (now Yates) closes the last film shown was aptly titled ‘The Last Picture show’ http://cinematreasures.org/theaters/5916. And the Regent Cinema http://cinematreasures.org/theaters/5918 133, Queens Road, closed in April of the same year. In 1974 – Abba won the Euovision Song contest at the Brighton centre – and The Granada Cinema http://www.74simon.co.uk/granada_hove/history.html was converted into a Bingo Hall. We appreciate that we have only scratched the surface when it comes to the importance of Brighton as the ‘Birthplace of the film industry’… and Bramble Hub was right – it was extremely remiss of us not to have included this sooner. Update – Volk’s Railway We have mentioned in passing the Volk’s railway but we think it deserves more … ..The Volk’s Railway is named after Magnus Volk. 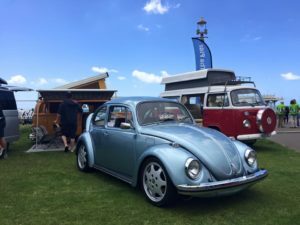 The Volk’s railway is sometimes referred to as The Volks Railway – it is an ongoing debate so you will see it written both ways. Volk was revered as a ‘pioneering British Electrical engineer’. He was the son of a German Clock maker and was born on Western Road in October 1851. He married Anna Banfield in 1879 and they had 7 children. Volk was an experimenter and inventor. He is probably best remembered for his railways but he also was the first man in Brighton to light his home with electricity, he installed lighting in the Pavilion (initially in the Banqueting room). The Volk’s railway – originally opened in August 1883 and ran between The Aquarium and The Chain Pier. Volk applied for permission to initially extend the track westwards towards the hove boundary but when permission was refused he suggested an alternative route east to the Banjo Groyne. Doreen Valiente was known as the ‘mother of modern witchcraft’ but it is probably a little less well known that she worked as a translator at Blethclye Park during World War II. An exhibition at Preston Manor celebrates her life and history. The exhibition runs from 1 April 2016 to autumn 2016. Preston Manor itself is considered to be one of ‘Britain’s spookiest historic houses’ and has hosted regular paranormal-themed tours, talks and events so is a perfect place for displaying the personal collection. 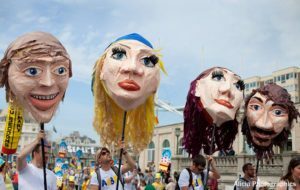 The first Children’s Parade was in May 1985 and has been an ‘annual highlight’ of the Brighton Festival ever since. It is usually held on the first Saturday in May and in 2016 approximately 80 schools and 4,000 children, teachers and parents took part in the parade with over 10,000 onlookers cheering them on. 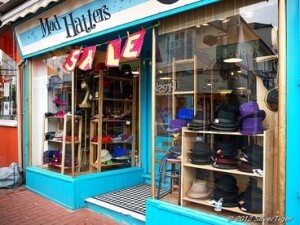 The parade starts in Kensington Street in Brighton’s North Laine and ends on Madeira Drive. 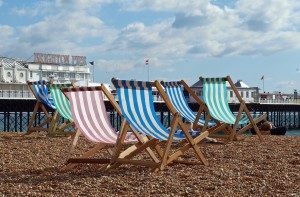 Each year a theme is selected by the Same Sky (‘largest community arts charity in the South East’) and Brighton Festival partnership. Themes have included ‘The Planet’. 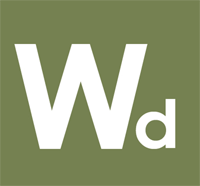 ‘Brighton Street Names’, ‘World Food’ and in 2016 ‘Brighton Celebrates’. 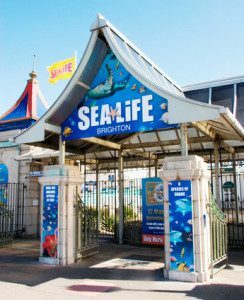 When we started out on our quest to answer ‘What is Brighton famous for’ we thought it would be a simple exercise – but this amazing city constantly surprises even it’s long term residents.. if we have missed anything out – please let us know… Thanks for visiting. 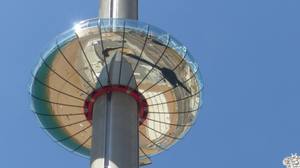 In August 2016 British Airways opened it’s i360 viewing observation tower. 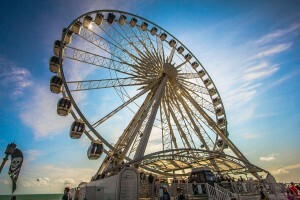 Considered a vertical pier, the i360 can take up to 200 passengers on a ‘flight’ in to the skies over Brighton in an enclosed viewing pod that offers 360 degree views of Brighton, East Sussex and The English Channel. At it’s peak the i360 reaches 138 meters high over the top of Brighton beach, making it the tallest vertical moving observation tower in the world. Positioned on the beach front in front of the West Pier, the entire structure was designed, engineered and built by the Architectural company Marks Barfield who are the same company behind the design and creation of the London Eye opposite the London Borough of Westminster on the River Thames.